Yesterday my new Bosworth spindle showed up in the mail. Right on time to take it to the airport to wait for Bug to return from her spring break. Her plane was delayed, and I had more than an hour of spinning time at the airport. I found myself a pillar to lean against and got down to business. After that, she went to her dad’s, and Mr. Ink and I had some errands to do in his truck. So, I spun in the truck too. I would say I am about a quarter of the way through this particular 4 oz. bump of fiber. And the Bosworth spins like a dream. It’s a beauty! So glad you like it. Ooooh, so much spinning done so quickly! 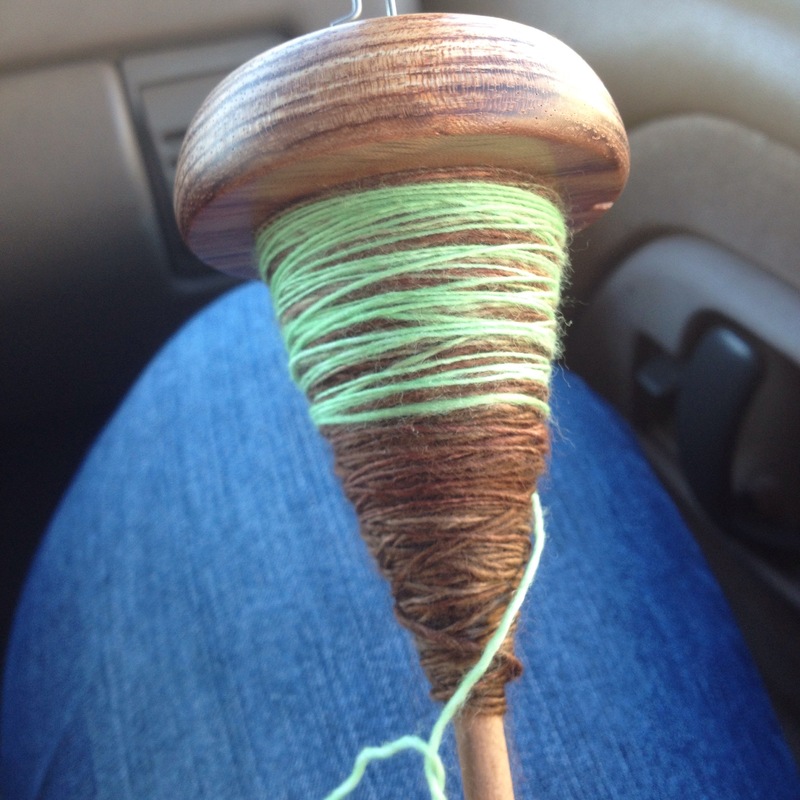 I always feel so slow on spindles. I’ve been wanting a Bosworth for a while but haven’t decided whether a Midi or Featherweight would be best for me. I like to try to fill the gaps in my spindle collection with different sizes/weights.